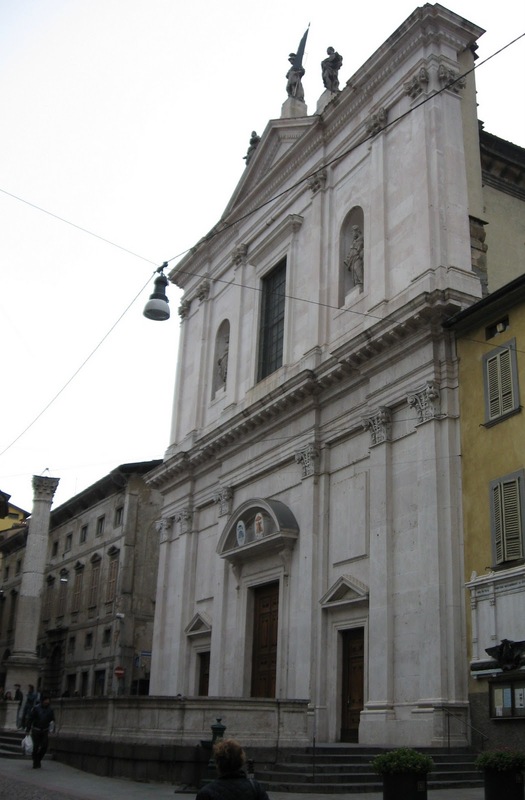 A Roman column in front of Chiesa di Sant’Alessandro in Colonna is believed to mark the exact spot where Bergamo’s patron saint was martyred by the Romans for refusing to renounce his Christian faith. The column in Via Sant’Alessandro in Bergamo Città Bassa (lower town) was constructed in the 17th century from Roman fragments. There are different theories about where the pieces came from. 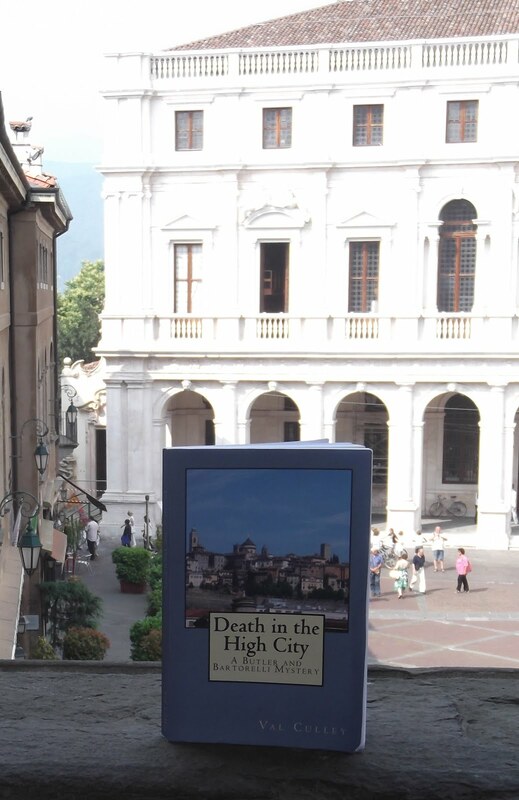 Every year on August 26th Bergamo remembers Sant’Alessandro’s decapitation in 303. This year for the first time there was a re-enactment of the event in full costume at the scene. The church of Sant’Alessandro in Colonna was rebuilt in the 18th century on the site of an earlier church. Its ornate campanile was completed at the beginning of the 20th century. The church houses a work depicting the martyrdom of Sant’Alessandro by Enea Salmeggia and one showing the transporting of Sant’Alessandro’s corpse by Gian Paolo Cavagna. It also contains paintings by Lorenzo Lotto and Romanino.